Looking for a Troutdale, Oregon Appraiser? Troutdale, Oregon is known by people around the greater Portland area as the place where reporters go anytime there is a single snowflake threat of Gorge Effect snow. To appraisers at A Quality Appraisal, LLC, Troutdale is a real estate market that we love to service with a diverse mix of properties from the older properties on the hillside to the newer properties on the hilltop. If you need a real estate appraiser in Troutdale, it is important to select an appraiser who really understands the Troutdale home appraisal market. At A Quality Appraisal, we appraise properties in Troutdale more often than most appraisers in the area. We understand the market nuance. If you need a Troutdale home appraiser, please consider using A Quality Appraisal, LLC. We’re not just Portland’s Best Appraisers, we are Troutdale’s Best Appraisers as well. Please contact us and let us prove it or see our testimonials. To learn more about A Quality Appraisal and our services, start by visiting our Home page. If you need a quick and easy appraisal fee quote, try our spam free, no obligation Fee Quote page. Troutdale is located in Multnomah County. This means that information on Troutdale homes can be found at Portland Maps. Since Troutdale handles its own zoning codes, these can be found at the City of Troutdale website. Troutdale, Oregon is known as the Gateway to the Columbia Gorge. 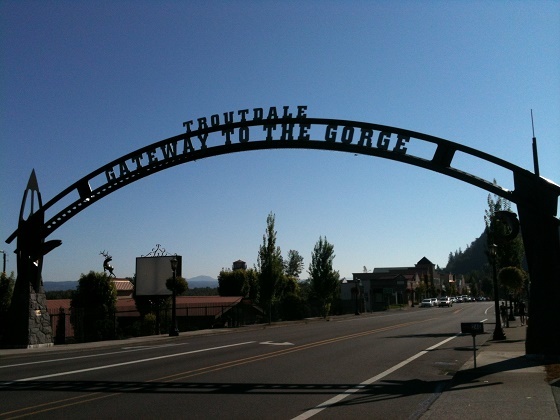 One of our appraisers snapped this photo of Troutdale’s Centennial Arch at the start of town. 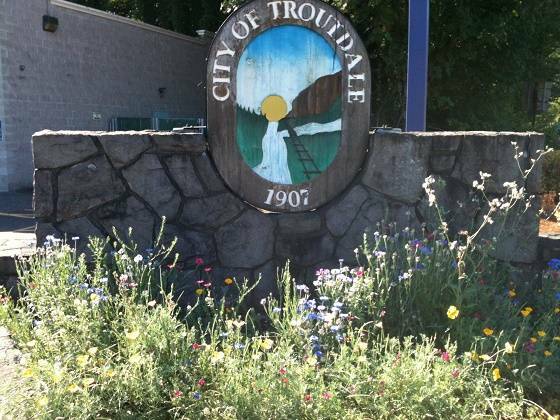 This is a photo of the City of Troutdale, Oregon sign. “I have heard my team comment several times that you are responsive and prompt.” Trina H.